Here is a completely revised, full-color second edition of the established go-to source for equestrian information. 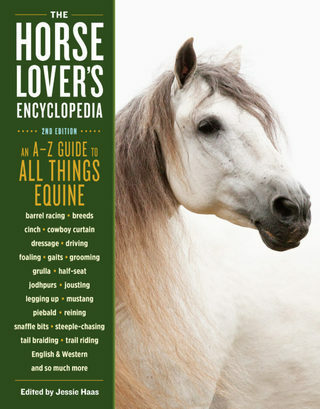 This comprehensive A-to-Z guide covers “everything horse” and bridges gaps in the equestrian universe between English and Western styles. More than 1,700 entries explain wide-ranging topics such as breeds, tack, facilities, equine care and management, health and safety issues, riding styles and disciplines, shows, and much more. Whether you’re a rodeo hand, thoroughbred racer, seasoned professional, or armchair admirer, you’ll get everything you need from noted equestrian author Jessie Haas’ clear and thorough descriptions. "Haas writes horse-themed fiction for young readers and has a pleasing and direct style . . . VERDICT: An ideal addition for any children's or adult reference section." An article on horse communication that I wrote for Muse magazine.